South Bay Ford is excited to provide the great city of Monrovia with an impressive assortment of new Ford cars, trucks, and SUVs. Offering the best prices on new vehicles in Southern California is just one of many benefits South Bay Ford gives its customers. Through a long-standing philosophy of unparalleled support, our team understands what it means to administer exceptional value to the residents of Monrovia. There may be other Ford dealerships in Southern California, but none of them hold the merit and credibility exhibited by South Bay Ford's team of award-winning professionals. Our knowledgeable sales consultants make purchasing a new car easier than ever, all in a hassle-free, no-pressure environment. As Monrovia source of incredible savings for new Ford vehicles, South Bay Ford offers an experience that outshines the competition on a national scale. What's more, our vehicle specialists work hard for their clients by presenting the information they need to find the exact car they're looking for: test drives, hands-on walkthroughs, on-the-spot demonstrations, and much more! With so much emphasis placed on customer service, it's no wonder our clients consistently award South Bay Ford with overwhelmingly positive ratings across the board. See for yourself why South Bay Ford has earned the prestigious President's Award for outstanding sales nine years running. Just meet with one of our esteemed client specialists today and they will help you every step of the way. Begin your research by browsing our inventory of new Ford Fiestas, Fusions, Mustangs, Transit Connects, Edges, F-150s, Explorers, Escapes, Ford C-Max, Focus, Flex, Ford Expedition, Super Duty F-250, and much more. Stop by South Bay Ford near Monrovia for the most competitive rates and newest Ford inventory around. South Bay Ford's amazing selection of used and certified pre-owned vehicles near Monrovia is filled with incredible value. We boast an incredible variety of makes and models, including the expected reliability of Ford to the elegance of Lincoln. We also house several luxury makes and models containing Mercedes-Benz, and Lexus. It doesn't stop there, however, as our handpicked variety of vehicles includes several other well-known and reputable brands: GMC, Chrysler, and Chevrolet to name a few. The wonderful people of Monrovia are sure to drive off our expansive lot and into their driveways smiling from ear to ear. Begin by scrolling through our inventory of certified Ford and pre-owned vehicles for your future automobile, perfect for maneuvering through Monrovia city blocks. Community involvement is imperative to South Bay Ford's family-owned philosophy and upholding ideals of extraordinary customer service has helped shape our identity. That being said, as your Southern California Ford dealer, we are truly dedicated to providing the best support we can muster to the amazing city of Monrovia. Stop by South Bay Ford today, located just south of LAX, and experience our ever-present selection of used and certified pre-owned vehicles in person and see just how much we care. Be sure to browse our Specials page before your visit to discover even more savings on the perfect car for you. As an award-winning Ford dealership serving Monrovia, South Bay Ford provides an optimal used car experience that stems from our friendly team of Client Specialists; not only will they save you the headache of searching far and wide, they will make your visit to South Bay Ford a true delight. Join the thousands who continue to enjoy South Bay Ford's giant selection of parts and accessories. From OEM parts to genuine Ford products, we have you covered. As Monrovia trusted provider of Ford parts and accessories, any installation is guaranteed to be completed correctly the first time, saving customers from headaches down the road. We believe that your vehicle deserves the best when it comes to parts and accessories, which is why South Bay Ford is fully stocked and ready to tackle any job. By purchasing Ford Motor Company recommended parts, our customers can maximize vehicle performance and ensure long-lasting confidence as they drive. As a continued benefit to you, South Bay Ford offers an extensive catalog of parts at the best prices near Monrovia, California. Our encyclopedic selection of genuine Ford parts is unprecedented in the Monrovia area and we make it a priority to assist all of our customers with a complete Ford OEM parts catalog. Adding to South Bay Ford's commitment to serve our valuable customers in Monrovia is a Parts Specials page where they can find year-round savings to keep their vehicles running smooth. Your Southern California Ford parts and accessories experience begins at South Bay Ford, where we proudly serve the city of Monrovia with the best selection of Ford parts and the added assurance of superior customer satisfaction. South Bay Ford is Monrovia comprehensive resource for everything service related, encompassing all aspects of a vehicle's maintenance requirements. With over 140 working service bays to accommodate our customers, South Bay Ford's certified technicians are provided the tools and space to access any hard-to-reach, under-the-hood compartments. In turn, this gets customers like you back on the road faster! As a highly regarded service center, South Bay Ford has fostered the respect of several Monrovia residents over its decades-long existence. That is, those living in Monrovia are afforded the convenience and reliability that only South Bay Ford can provide. Enjoy a complimentary meal at our in-house bistro while you wait for your service to complete. Along with free Wi-Fi access and business center usage, we want your visit with us to be as convenient as possible. If you're looking for an oil change near Monrovia, South Bay Ford offers an exclusive service that will be completed in 45 minutes or it's free. Through our highly trained and knowledgeable service team, you will enjoy a professional experience that's second to none. Further, with our top-notch Quick Lane service center, Monrovia customers can expect extraordinary customer service for even the most basic procedures: oil changes, engine care, tire maintenance, alignments, battery upkeep, and more! Remember, you don't have to drive a Ford in order to service your vehicle at South Bay Ford. In other words, we will gladly diagnose and administer service to any vehicle you drive. Keep your car, truck, or SUV at peak performance by working with our distinguished technicians and letting South Bay Ford handle all of your service needs with state-of-the-art precision. Contact an advisor today, schedule an appointment online, or simply stop in for your next check-up because there's no better place for the residents of Monrovia to take their vehicle for service than South Bay Ford. The finance team at South Bay Ford is determined to help all prospective clients find the best car loan or lease options at the most competitive rates in the industry. Our finance team is built from the ground up with the expertise and financial resources necessary to procure customers with a loan or lease near Monrovia, California that simply cannot be beat. Step foot into you dream Ford and drive off our world-class lot with confidence. Our financial experts are here solely to make the process of buying or leasing your next vehicle as easy as possible, saving you time and money. Get approved for a car loan in Monrovia immediately by completing our secure, online finance application. Once completed, one of our finance professionals will review your information and reach out to you. Simply call, schedule an appointment, or just stop on by to speak with one of our knowledgeable team members for more information on financing or leasing a new Ford, certified pre-owned, or used vehicle today. 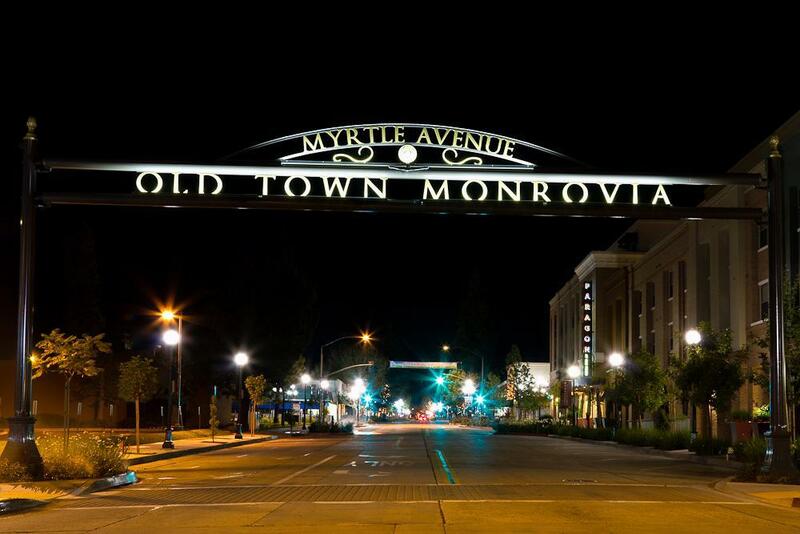 As the fourth oldest city in Los Angeles County, The City of Monrovia praises itself to be beautiful, historic, cultural, economically diverse and inviting. Located at the base of the San Gabriel Valley Mountains, this city of 40,000 residents has access to world-class amenities such as cultural facilities to recreational outlets to top-rated education and healthcare. Monrovia was once part of the vast lands of the Mission San Gabriel and during the 1880’s, a group of successful businessmen converted the dirt roads with scattered roads into a community. Lots were sold for $100 or $150 each and in order to purchase the lot, each owner was required to build a house within the first six months, at a cost of $2,000. This was designed to protect the town from land spectators and encouraged the community to thrive. Eventually, the town was named after William Monroe, who was President of the Monrovia Land and Water Company. The company planted 8,000 pepper trees along the streets and provided free water to the town and installed electric streetlights. In 1884, Monroe bought 210 acres of Rancho Santa Anita from E.J. “Lucky” Baldwin. He moved his family into a tent on the property until they built a small cottage where they lived until their permanent home, “The Oaks,” was completed. “The Oaks” is still standing at 250 N. Primrose Avenue. Myrtle Avenue, Monrovia’s Main Street, is named for his elder daughter Myrtle. As the city continues to grow, City Hall has focused on key areas to support a thriving community such as Infrastructure, Fiscal Sustainability, Organizational Capacity and Community Relationships. There are constant projects to improve streets, sewage, water and sidewalks throughout the city. There is also a focus on business development and helping grow small businesses. South Bay Ford is here to support your company’s transportation needs with our lineup of Commercial vehicles such as the Ford Transit and Transit Connect. Contact a Fleet Specialist to find out more. •	Continue on I-210 W.